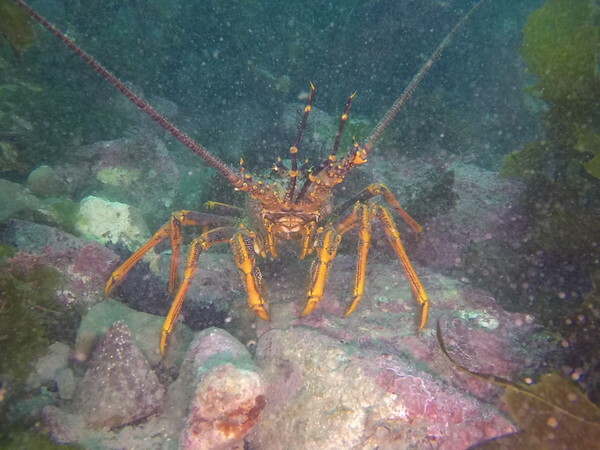 These evening dives really make for a great way to spend an evening in Wellington. 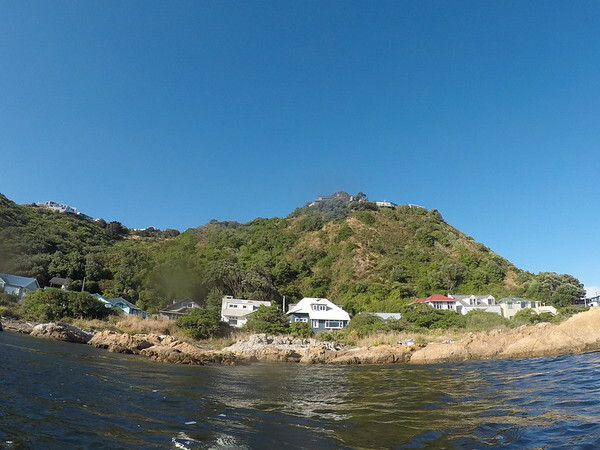 This time we headed out to the Island Bay Snorkel Trail in the Taputeranga Marine Reserve. The wind was at it again so the visibility was poor but we still made the best of it. Being a marine reserve the site was rotten with Crayfish. This one was quite bold and wasn't even hiding under a reef or in a crevasse. 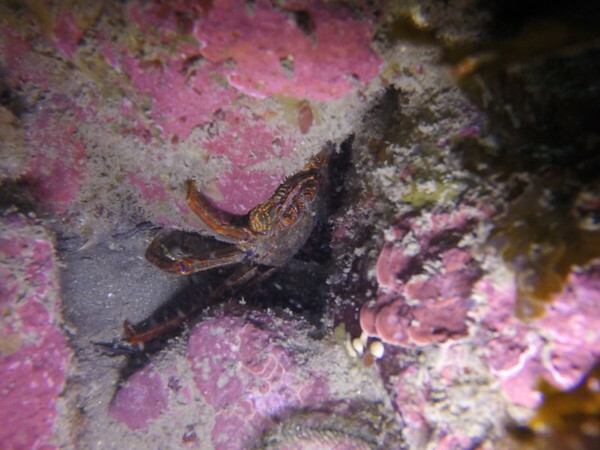 I even found a crab tucked away between some rocks.